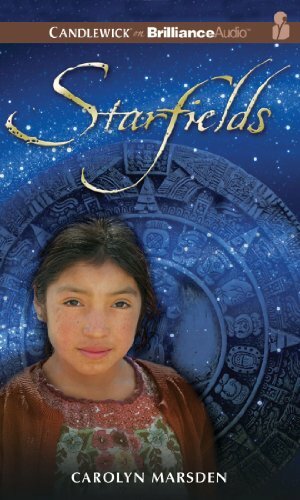 Rosalba is a nine-year-old Mayan girl living in rural Mexico. Like her mother and grandmother, she weaves stories of her people onto blouses, ensuring that the age-old traditions continue. But new influences are entering her life. A ladina girl from the city, visiting with her scientist father, passes on the astonishing news that the Mayan calendar predicts the end of the world in 2012. Rosalba knows nothing about that, but her village is faced with a bulldozer tearing through the forest, dying wildlife, and cornfields in danger. Rosalba’s new friend tells her she must do something to help, but what? As she ponders, she dreams of an ancient Mayan boy, eyes bound in a shamanistic ritual, who hints at a way she can make her voice heard. Interweaving a contemporary story with a mythical dream narrative, Carolyn Marsden spins a gripping tale of friendship, cultural identity, and urgent environmental themes. If you have any questions about this product by Brand: Candlewick on Brilliance Audio, contact us by completing and submitting the form below. If you are looking for a specif part number, please include it with your message.